Our community celebrates Black History Month each year, through the books we read together, the stories we tell, the leaders we honor. This year, I've been particularly moved by a set of posters called Because Of Them We Can. Eunique Jones Gibson began this project as a way to "share our rich history and promising future through images that would refute stereotypes and build the esteem of our children." 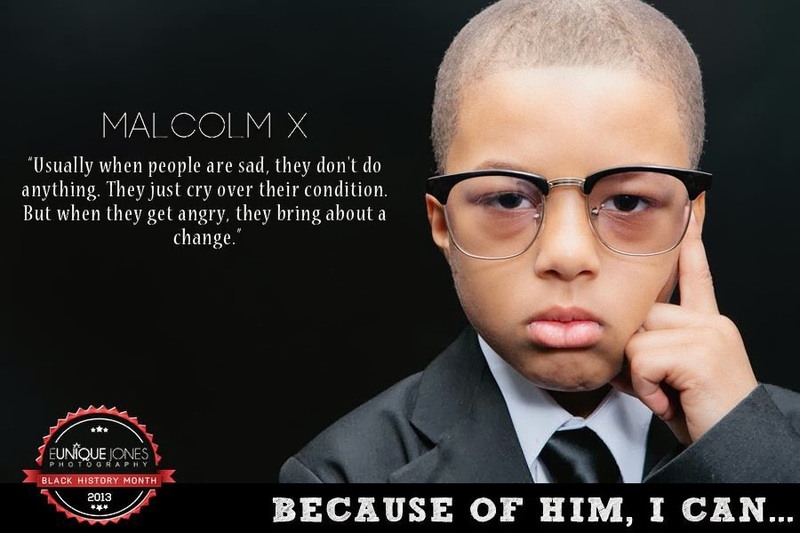 This project is much more than dressing kids up as historical figures. It's providing a way for kids to see what they themselves can do, who they can become. I adore this video about Zora Neal Hurston. Library love. Book love. Imagination. This video captures exactly the power behind these images. I often think about books as being "Windows and Mirrors" -- letting us see through to other worlds, as well as see images of ourselves reflected in them. The same can be said for historical figures. At times, they let us see into other worlds, but at other times they let us envision what we ourselves might do. Gibson has combined her vision with action. She knows that that images can be a powerful statement about the way we see ourselves, but then she's taken the action to create this stunning project. 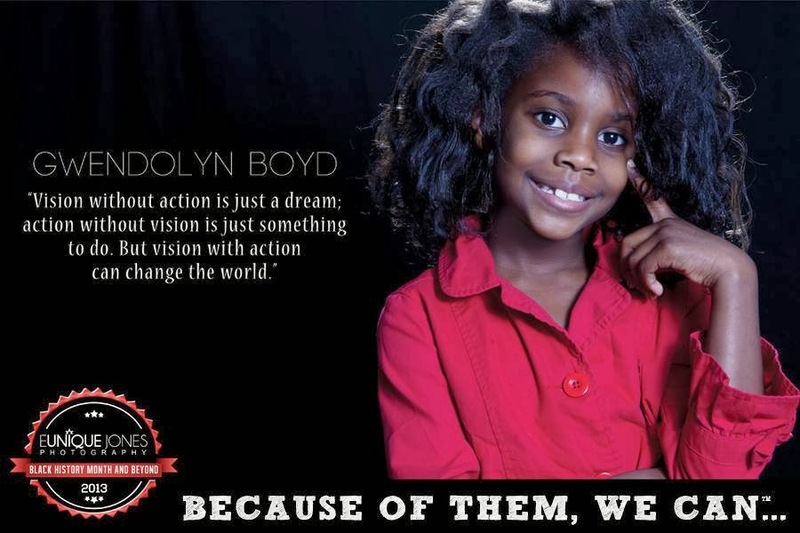 Because Of Them, We Can is a great project to share with children and teachers. I'd love to hear what they think of these images and this vision. Just look at these kids on the computer--they are totally engaged in doing an activity together. I want to help create situations like this. But it isn't just a matter of putting a computer in front of kids. You need to bring the right media experience as well. Technology is changing so quickly that it’s hard to figure out what’s engaging and what is just a marketing drive from another tech company. Parents and educators face a huge array of digital media claiming to be the next best thing. My first advice is to listen to friends and family--get their recommendations about quality books, apps and sites. Talk with other parents about how they navigate this digital world with their kids. Also listen to kids--they love talking about their favorite new websites and games. Ask them about what they find really engaging. Talk about the difference between mindless fun and problem-solving, creative games. See what they recommend and think is really interesting. Look to Children’s Technology Review to learn about a range of different media, from digital games to apps. I value their thoughtful analysis and focused reviews. Also check out Common Sense Media for a range of different media reviews. The excellent design of this site lets me find exactly what I'm looking for, from reviews of current movies and video games to their take on different websites for specific ages. For example, here's my search on math sites for ages 6-9. Each website review includes an age recommendation, quality rating, learning rating, and a short review focused on what parents need to know. Definitely check out Great Websites for Kids, put together by the American Library Association. I especially like the way this site is organized into different topics kids might be interested in: animals, the arts, history, literature, math, science, social sciences and general reference. I've really enjoyed the blog Little eLit, which shares many creative ways to engage kids with digital literacy, especially in the library. The Fred Rogers Center consistently puts out interesting articles on young children and media -- a recent blog post focused specifically on Technology and Family Life. I'd love to hear your thoughts on this emerging field. What engages your kids? What do you look for when you choose digital media for your children? Kids love to create, whether it’s digging in the sandbox, making a paper collage, or creating a digital calendar. 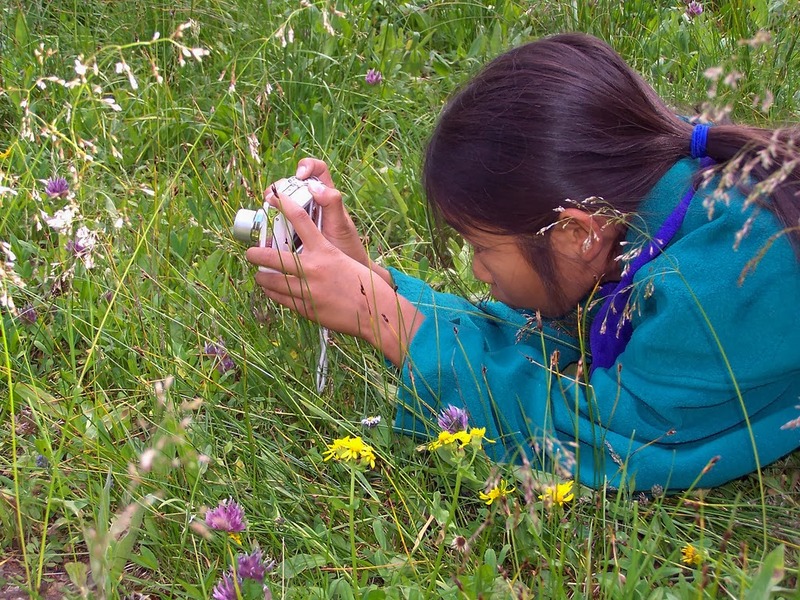 Think about how your kids can use digital cameras or mobile devices to create their own media. Take this example from Let’sPlay. Look for an old digital camera or flip-style video camera. Take (digital cameras) to the park with you and put them in your child's hands—or on their helmet, firmly secured with duct tape. There's something about being able to document their own footage that brings out the adventurer/daredevil in kids. That's a recipe for awesome—and YouTube bragging rights at school. Older children love creating their own mashups, learning how to digitally edit photos. This sort of active screen time is far different than passively watching TV. One of our favorite apps is Toontastic (free with in-app purchase of puppet sets, or $19.99 for an all-access pass), created by Bay Area startup Launchpad Toys. This app encourages kids to create their own animated stories. It guides young users through breaking down a story into five basic steps, then adding cartoon scenes, music and characters along the way. You narrate the scene while moving characters with your fingers. Kids absolutely love it, and there’s a great guide to help parents, encouraging collaborative play between grownups and kids. I love the way Jennifer Reed, a dynamic school librarian, is using an online story creating site Storybird with her 5th graders. She's showing great examples of "hooks" and stories her students have created. These kids are completely engaged in the creative writing process, in large part because they get to use digital media to publish their final products. As you think about digital media, think about the way children are engaging. Are they passively consuming media, or are they creating something while they use it? I've seen kids learn essential digital skills while doing something as fun as creating a birthday invitation on the computer. What can be better than learning through play? Our role as parents is to create these opportunities, think outside the box and see what creative ways we can engage our kids while introducing them to new media. Video games can provide great opportunities for parents and kids to play together. Seek out creative, engaging experiences to play together. Today’s parents grew up with video games--seek out games you like to play together. At our school library, kids have a great time playing iPad math and physics games together. Interactive math games like Hungry Fish or Operation Math become a fun social learning experience for two or three children doing it together. Simple Physics is a great partner game, as kids work together to build tree forts, bridges and stairs. When you’re looking for digital media, don’t just replicate offline activities. Try to use new tools to make learning fun. Arcademic Skill Builders is popular at our school because this helps children practice their math facts in a fun, game environment, instead of just using flashcards. Above all, I've found that kids love playing with digital media together, making their learning and gaming social. Do you like reading ebooks? Did you know you can borrow them for free from your public library? Our local public libraries are expanding their digital collections, and it’s getting easier and easier to load these onto your own mobile device. San Francisco Public Library offers digital books for kids and adults through their Axis 360 and Overdrive platforms. Over 3,000 children’s fiction titles are available through Axis 360, many with text-to-speech capabilities. Overdrive features digital audiobooks and ebooks. SFPL has over 2,500 children’s fiction titles in their Overdrive collection. Any California resident may apply for a library card from SFPL and check out digital books. Oakland Public Library also offers digital media, including ebooks, audiobooks, magazines and music, which library cardholders can download. The Oakland Library has over 1,500 fiction titles for children through Overdrive, which can be read on a Kindle, iPad, Nook, mobile phone and computer. Oakland card holders can also download three songs a week using the Freegal site, which provides access to Sony Music songs. The Marin County Free Library has an ebook collection through a variety of platforms available for Marin County residents. Overdrive and the 3M Cloud Library are the main sources for downloadable ebooks, but they also have some interactive titles through Axis 360. Marin’s Overdrive account has 800 fiction titles for children and nearly 3,000 for adults. If you are finding the selection at your local library limited, do try other public libraries in your state. All California libraries will issue a library card to any California resident, whether or not they live in the local area. Other libraries offer digital library membership for a small fee. Parents are beginning to explore digital reading opportunities with their kids. Everyone has different tastes. The real trick, in my opinion, is to figure out what fits you and your family. Engage in this conversation together. Try different things out. Talk with your kids about what they like. Above all, read together in lots of different ways. One mom I know keeps a digital book loaded on her phone so she can read aloud to her kids when they’re stuck waiting for an appointment. Digital audiobooks keep your place saved for each time you come back to your book, often syncing between devices as well. A heavy print book can seem intimidating. Reluctant readers find reading on a digital device appealing because their “just right” book looks just the same as everyone else’s book. 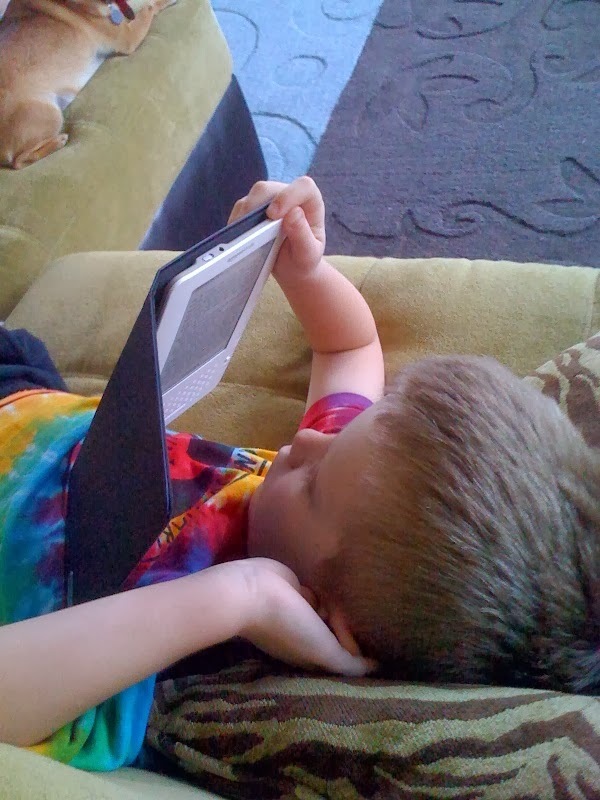 The built-in dictionary, speech-to-text and audiobook syncing abilities of digital books can be a huge advantage to children struggling to read. Explore your public library collection of ebooks; these collections are growing every month! You can download books to your smartphone, computer or tablet. Explore your library website or ask for help. I’ve found that the user interfaces of sites like Overdrive and Axis360 are continually improving. Consider interactive book apps, especially ones that integrate audio narration, word highlighting and interactive features. Some of my favorites apps available on the iTunes App Store for young children are Bats! Furry Fliers of the Night, Cinderella and Jack & the Beanstalk by Nosy Crow, and The Monster at the End of This Book. As you read together, talk about what you find interesting, how the story is coming to life in your imagination, what it makes you wonder about. Mobile devices are infiltrating our daily lives. Kids know how smart phones, tablets and computers are ever-present, taking their parents out of the moment as they check email, sports scores or traffic conditions. Parents often wonder if their children have too much screen time, but I would argue that’s the wrong question. As parents, our main job is to help our children develop skills and mindsets they need to engage with the world in productive, satisfying ways. We want our children to actively participate in their world. This is the lens through which I look at digital experiences. 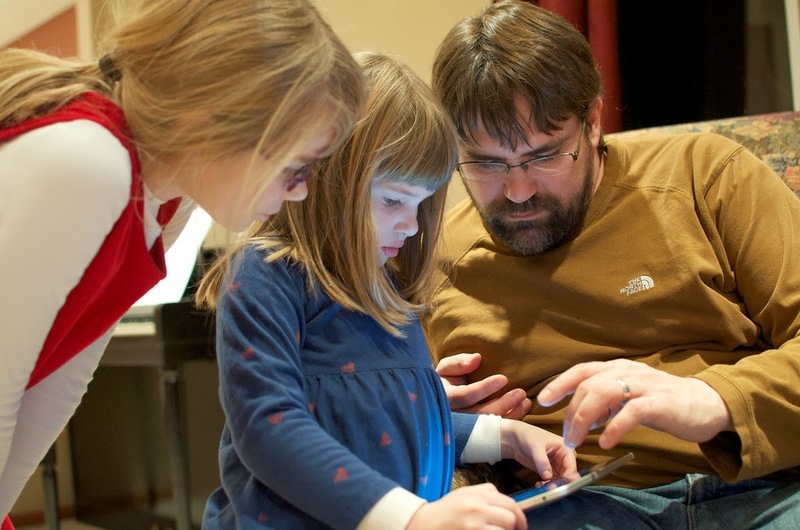 How can I help my children discover engaging, interesting experiences online and offline? 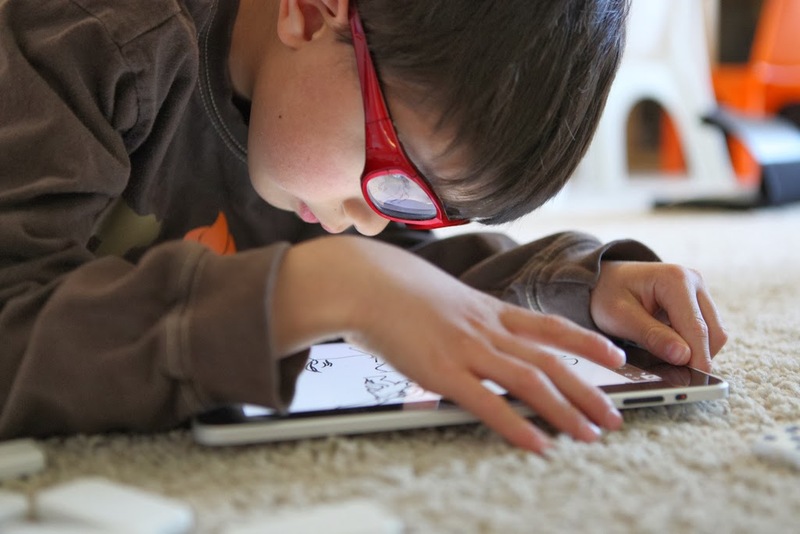 How can digital devices add to the mix, helping my children learn and grow? At the heart of this, parents need to remember that our interactions with our young children are what lead to learning. Whether it’s reading a book, playing a video game or listening to music, we use media as a springboard for learning when we do these activities with our children and talk about what we’re doing. eBooks, video games and digital media provide many opportunities for active, engaging experiences, but they can also be used as electronic babysitting. When you’re looking at using media with children, always ask yourself whether it’s encouraging active, imaginative engagement and interactions with adults or peers. I've raved before about Barefoot World Atlas -- the spinning globe that brings a traditional atlas into a new realm for young kids. Well, Touch Press has wowed me again, with five fantastic extension packs. If you haven't tried out this app, please take a look! Young children have a difficult time envisioning the large extent of our world. It's so hard to see how the separate parts relate to the whole. This app lets kids physically spin the globe, zooming in and out, and then learning a specific region. It's tactile and visual -- and kids love it! The original app presented a select amount of information that Nick Crane's original book contained -- at times, it seemed a bit limited to me. Now they've added five extension packs that enable kids to explore their different interests on a global level. Each is available as an in-app purchase. Normally, I really dislike this approach, but it seems to be very appropriate here. Families purchase the basic app for about $5, and then they can choose a specific area to purchase for an additional $1.99. The format (choosing which pack to explore) helps focus a child, providing more content without overwhelming them. Less is more, especially when it comes to visually arranging information. The content is truly multinational, covering all the continents. I especially loved the art extension pack, which includes items ranging from a Mayan pottery vessel to a central Africa Bronze plaque to an early 20th century Russian painting. The Great Cities pack includes several pictures for each location, adding more information without cluttering the interface. These photos lead to great conversations and "ah ha!" moments for kids! The review copy of this app came from our school library collection, thanks to a generous grant by the Berkeley Public School Fund. I so appreciate their support, as we look for new and exciting ways to engage our students. Please support your local schools fund! This week, school librarians from all over California are gathering in San Diego to share about ways to engage students, develop critical thinking and promote literacy. 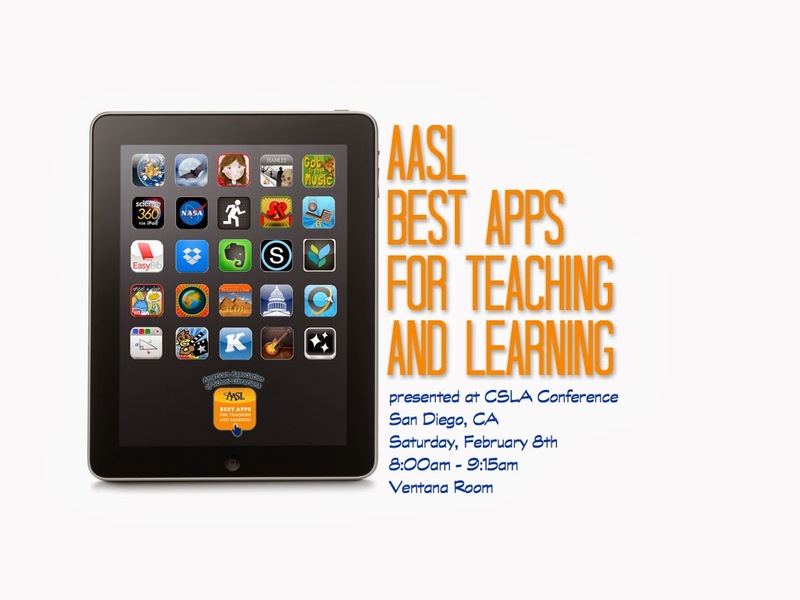 I'm excited to present the AASL Best Apps for Teaching & Learning. Hope to see you there! Follow the conference hashtag #csla14 and the Best Apps hashtag #aaslbestapps to see what people are saying. Dazzling. Exuberant. Full of life. 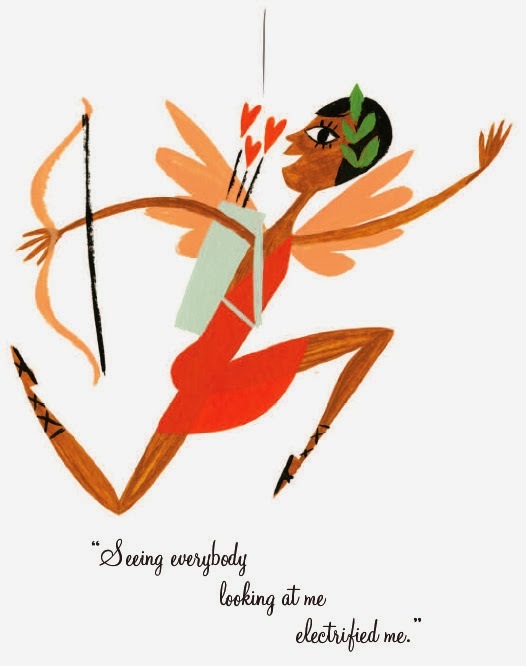 These words certainly describe Josephine Baker, but they also describe the beautiful biography that Patricia Hruby Powell & Christian Robinson have just created celebrating Baker's life and work. This is a unique picture book biography, presenting Baker's life in poetic text that hums with rhythm, spread across over 100 pages. Powell tells the story of Josephine Baker's determined rise from poverty to stardom with energy and verve that suits the subject matter. Her free verse poetry creates a driving rhythm that propels the reader along. I keep thinking about the way the words and pictures in this story go together. Each element complements the other, adding more to the total package. Please take a look at the "peek inside" over at the Chronicle Books website to get a feeling for the wonderful design, illustrations and text in this book. I sense that this book is perfect for an eight to ten year old, especially one who's interested in gutsy, determined individuals who won't give up on a dream. 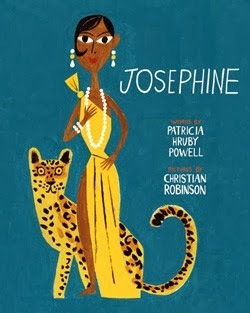 Josephine is much longer than the typical picture book biography, and the design makes it better suited to savor over time than in one straight shot. Students at Rosa Parks Elementary School in Berkeley are incredibly lucky--Christian Robinson and Patricia Hruby Powell will be visiting their school this week to share about their creative process. I am just thrilled. What a terrific way for these students and teachers to start off celebrating Black History Month! Many thanks to Books, Inc. and Chronicle Books for bringing these artists to our schools. Do you love sharing nonfiction with kids? Check out the Nonfiction Monday Blog, with posts every Monday from around the country. The review copy was kindly sent by the publishers, Chronicle Books. The illustrations are copyright ©2014 Christian Robinson, shared with permission of the publishers. If you make a purchase using the Amazon links on this site, a small portion goes to Great Kid Books (at no cost to you!). Thank you for your support.